It is convenient to have access to email whenever you are on the go. And if you have a smartphone, it is not hard to setup custom email on it. 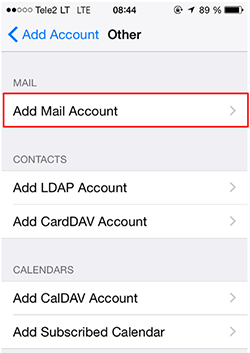 In this tutorial you will learn how to setup an email account on iPhone. 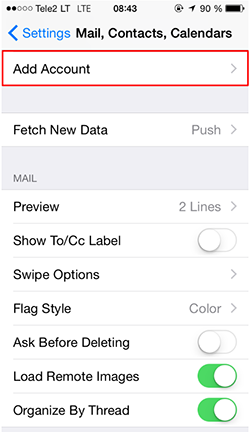 This tutorial is made on iOS version 8.4, however, process should be similar for other versions as well. To set up an email account correctly you need to know email server settings. Usually, these settings can be found on the control panel of your hosting provider. If your hosting is based on cPanel – email account settings can be found on cPanel -> Email Accounts -> Set Up Mail Client section. It should not be very different from any other hosting control panel. Non-SSL Settings will be used in this tutorial, however, the setup procedure is the same for Secure SSL/TLS Settings. Unlock your iPhone and access Settings section. Scroll down till you see Mail, Contacts, Calendars menu button and press it. Now press Add account button. Here you should see all accounts created on your iPhone. If the email account you are trying to configure is not the one on the list press Other button. Press Add Mail Account button. Name – Your full name (this name will appear as the sender name when a recipient gets your email). Email – Your full email address. 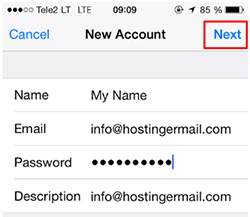 Password – Password of the email account created at hosting provider. Description – Description of email account which will be visible for you only. 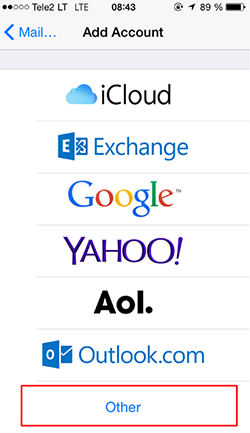 You can use the same value as your email address. Once you are done press Next button. 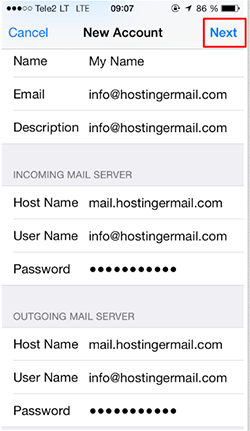 Now you will be asked to enter email server settings (from Step 1). name with mail. subdomain. As an example, we enter mail.hostingermail.com. Password – The password of the email account created at hosting provider. When all the settings are entered press Next button and setup will be finished. 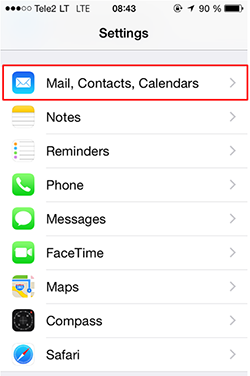 If all the settings are correct you should already be able to see your email account on the Mail app. You have learned how to setup an email account on iPhone. If you get any errors when finishing this installation it means the server is not responding or you have entered incorrect settings so you can try to repeat the procedure again. If you are still unable to set up email, contact customer support for assistance.